These fluffy little dinner rolls are stuffed with a delicious surprise inside - Italian Meatballs! Today I have a simple and tasty recipe to share with you. 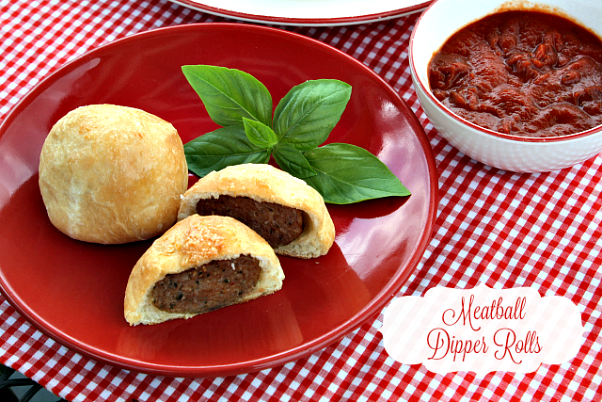 If you love meatballs, then you'll love these stuffed Meatball Dippers. 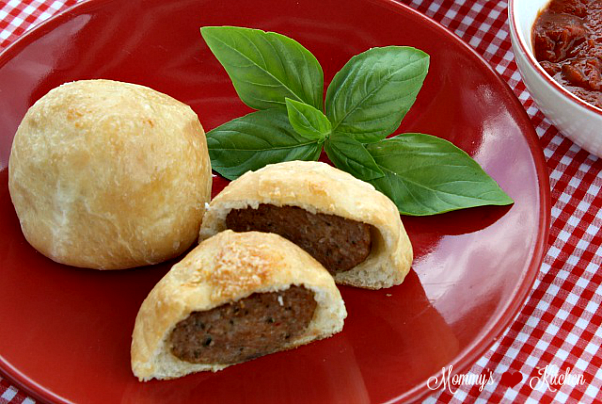 These Meatball stuffed rolls combine the flavors of fresh dinner rolls and cooked Italian meatballs all rolled into one. These easy meatball rolls are like eating mini meatball subs, but without all the mess. They make the perfect grab and go lunch or after school snack. 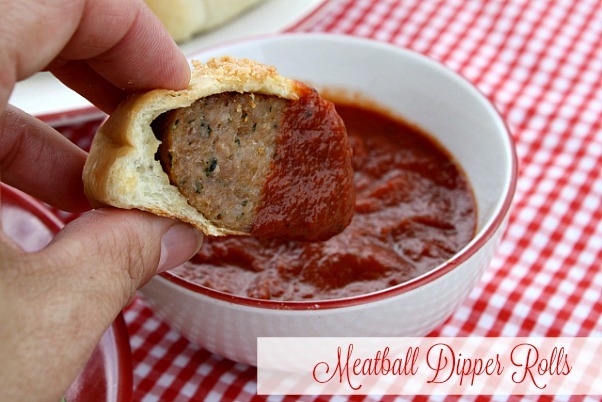 These meatball rolls are especially fun for kids because they are small for little hands and perfect size for dipping in marinara sauce. 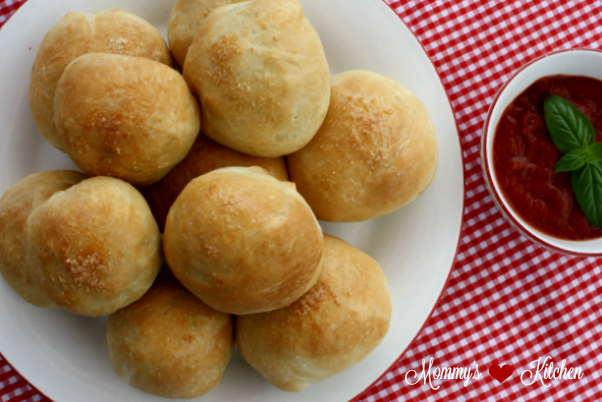 These stuffed rolls also make a wonderful appetizer on a party tray or served at a game day get-together. Make sure to double or even triple the recipe because they tend to disappear rather quickly once everyone finds out they have a meatball center. 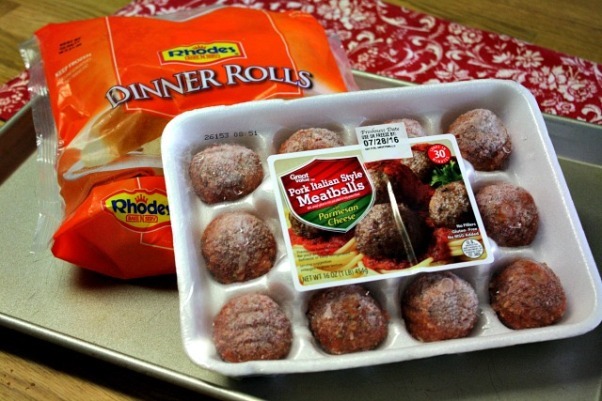 For this recipe I used Rhodes Frozen Dinner Rolls and pre made meatballs that, I picked up in the meat department at my local grocery store. I love the pork meatballs with Parmesan cheese that my store carries, but you can also use pre-cooked frozen meatballs which is super quick. Once the meatballs were baked and cooled, they were ready for stuffing. These rolls bake up soft, fluffy and golden brown. I haven't met a kid or an adult yet that hasn't loved this recipe. 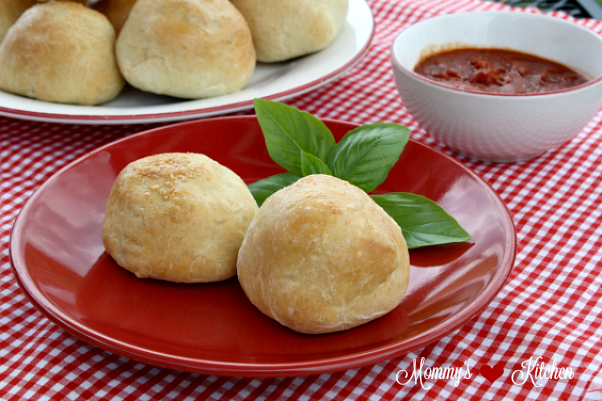 Serve these fluffy stuffed dinner rolls with a little warmed marinara or pizza sauce for dipping and enjoy. I hope you'll check out the recipe and bake up a batch of these meatball dipper rolls for your meatball lover. 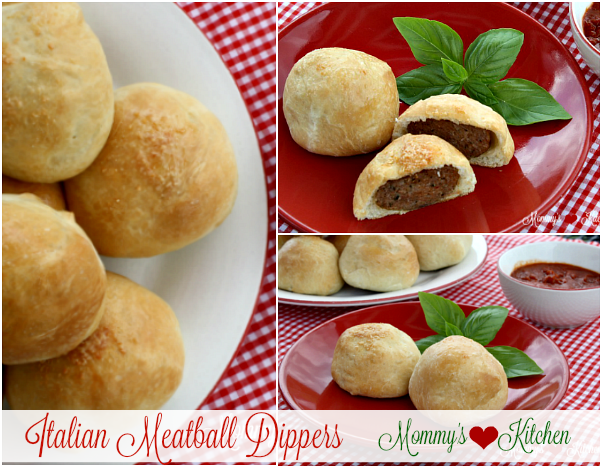 Stop by the Rhodes Kids Baking Blog where I'm guest posting today, and sharing the full recipe and instructions for these easy Meatball Dipper Rolls. Make sure to save or pin this recipe for later!!! These look like a great concept and a fun thing to eat. I wish, however, they were not made from completely processed ingredients. I would love for you to post a homemade roll and meatball recipe, like you used to do. You always had some of the best bread recipes and I miss seeing new ones. I love those cheeseburgers stuffed in a roll that are on your site! A little more work, but that's why homemade tastes the best. I LOVE the ease of using premade products! =) These look terrific. Love those Rhodes rolls - MMM! I still make homemade meatballs and rolls, but when I'm in a pinch for time I love using Rhodes rolls.